I drive by this store occasionally and it seemed to me that very recently their horse was black. When I stopped in to verify that they gave him a paint job I learned that in 20+ years he has only been painted four times. 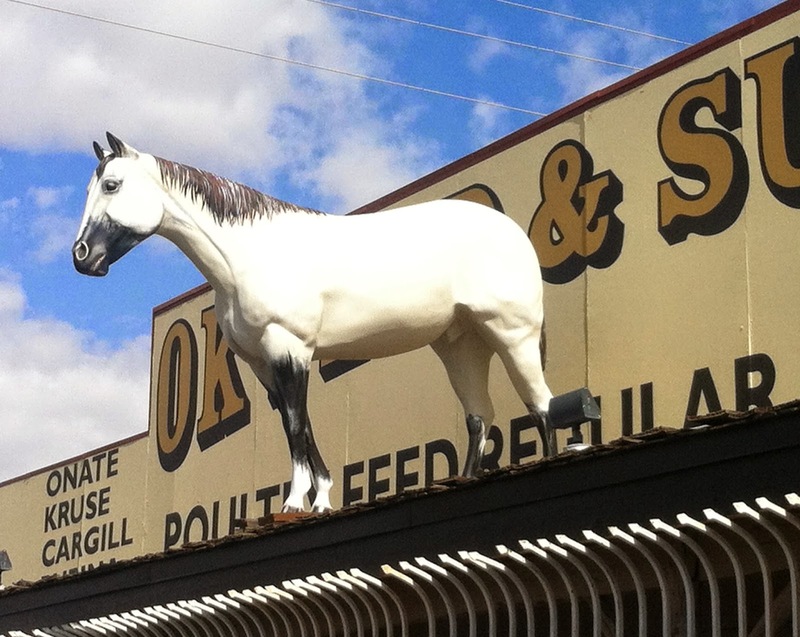 This horse has been standing on the roof of the OK Feed Store for decades! Hi Ellen! It's funny how different he looks now!